The Golden Dragon Acrobats represent the best of a time honored tradition that began more than 25 centuries ago. 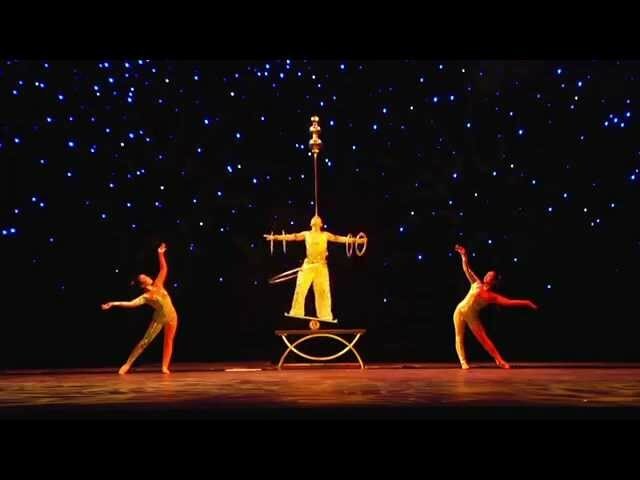 The Golden Dragons are recognized throughout the United States and abroad as the premier Chinese acrobatic touring company of today. The reputation of the company is solidly rooted in a commitment to the highest of production values and an attention to artistic details that is unparalleled in the art form. World renowned impresario Danny Chang and choreographer Angela Chang combine award-winning acrobatics, traditional dance, spectacular costumes, ancient and contemporary music and theatrical techniques to present a show of breathtaking skill and spellbinding beauty.